At F8, Facebook today announced a new set of tools for its profile photo video feature. 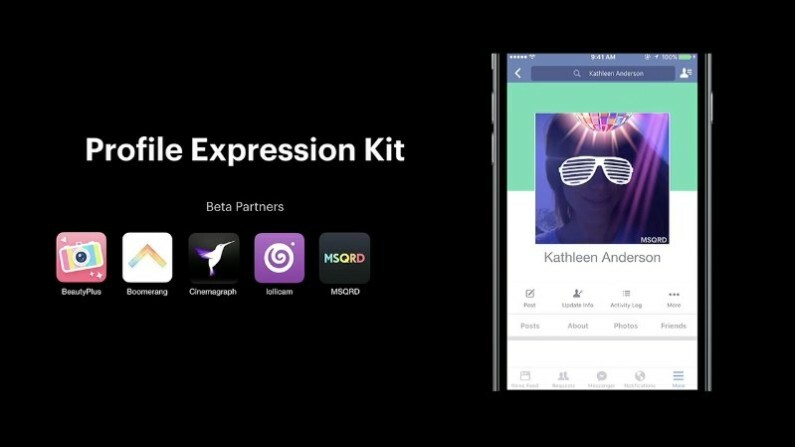 Named the Profile Expression Kit, the tools – which include the recently-acquired MSQRD and Vine – integrate features from popular selfie cam apps and help you add them as part of your profile video. Profile videos first arrived on iOS and recently rolled out to Android. Facebook only has six beta partners at launch, but we wouldn’t be surprised to see more added to the mix – especially in light of criticism that Facebook does not offer enough filters for causes around the world. Relying on third party apps would mean these partners could provide the filters instead, taking some of the pressure off Facebook itself.